When you're shopping for your next vehicle, you want to be sure that you're getting exactly what you want and need. Once you have decided upon your make and model, you then need to choose which model grade is best-suited to your needs. The trim level, or the model grade, that you choose will determine a number of specificities about your new vehicle, to which you'll want to pay attention. Trim level choice will affect the materials in your cabin, the types of technologies you'll find in your vehicle, the type of safety features you'll have access to, and the design elements that will be present in your model. The 2018 Mazda3 trim comparison is designed to assist you in your search for the perfect Mazda3 model for you. The 2018 model year of the famous Mazda3 has a total of three trim levels from which drivers can choose. These include the Sport, the Touring, and the Grand Touring model grades. The 2018 model year of the Mazda3 is sure to have a trim level to suit any driver's needs. No matter which trim you end up choosing, you'll be sure to find Mazda's iconic style and commitment to craftsmanship in all aspects of the 2018 Mazda3. You can view the specifications of each trim level below and see which one is best-suited to your individual style and needs. In the starting trim level, the Sport, drivers will have access to a wide range of technologies and features. This trim features a SKYACTIV®-G 155-hosepower, 2.0-liter DOHC 16-valve 4-cylinder engine with variable valve timing. This powerhouse is paired to a SKYACTIV®-Drive 6-speed automatic transmission with sport mode. In addition, this model grade also comes equipped with SKYACTIV-VEHICLE DYNAMICS with G-Vectoring Control to further enhance and refine performance. This model grade comes with cloth-trimmed sport seats and the MAZDA CONNECT™ Infotainment System as a standard feature. In addition to these benefits, drivers of the Sport trim will also enjoy standard Smart City Brake Support and a standard rearview camera to increase safety and security while out on the road. 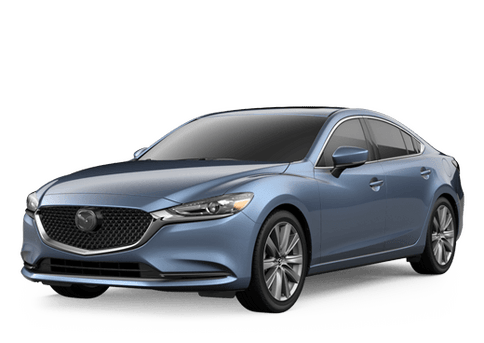 Moving on to the next trim level, the Touring, drivers will enjoy increased power from the SKYACTIV®-G 184-horsepower, 2.5-liter DOHC 16-valve 4-cylinder engine with variable valve timing. This engine is paired to the same SKYACTIV®-Drive 6-speed automatic transmission with sport mode. Like the Sport trim, the Touring also comes equipped with SKYACTIV-VEHICLE DYNAMICS with G-Vectoring Control. In the interior, drivers of this trim will enjoy increased luxury with the addition of variable heated front seats, leatherette-trimmed sport seats, a leather-wrapped steering wheel, and a leather-wrapped gearshift knob. Drivers of this trim level will also find the Mazda Advanced Keyless Entry in this trim level of the 2018 Mazda3. In the top trim level of the 2018 Mazda3, drivers will find the same engine specifications as in the Touring trim level. Drivers of this top trim level will enjoy increased visibility from the addition of Bi-LED headlights with auto leveling, LED Daytime Running Lights, LED combination taillights, and LED fog lights. In addition to these upgrades, drivers will also find perforated leather-trimmed sport seats, a Bose® nine-speaker surround sound system with Centerpoint® and AudioPilot®, a full-color Active Driving Display, and a power sliding-glass moonroof with one-touch-open feature and interior sunshade among other amenities. 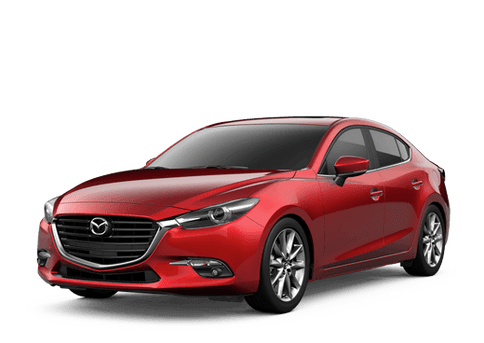 If you would like further information regarding the 2018 Mazda3 trim comparison, you can contact us at Gorman McCracken Mazda. We’ll help you find the properly equipped trim level for you and let you test drive your favorite 2018 Mazda3 model grades!